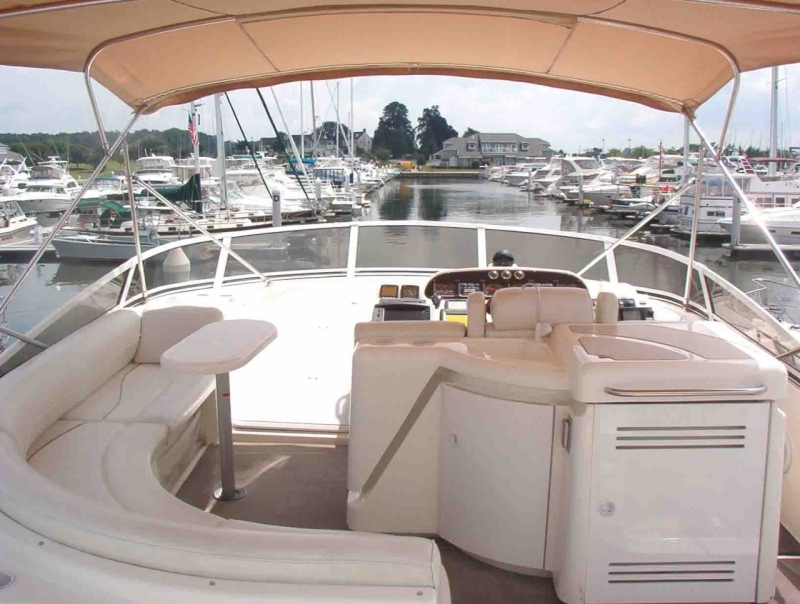 This yacht is a sophisticated pilothouse sedan bridge with rakish European styling, elegant cherry cabinets and galley floor, light tan leather, neutral fabrics and Corian countertops. She has three staterooms with private heads for the master and VIP. 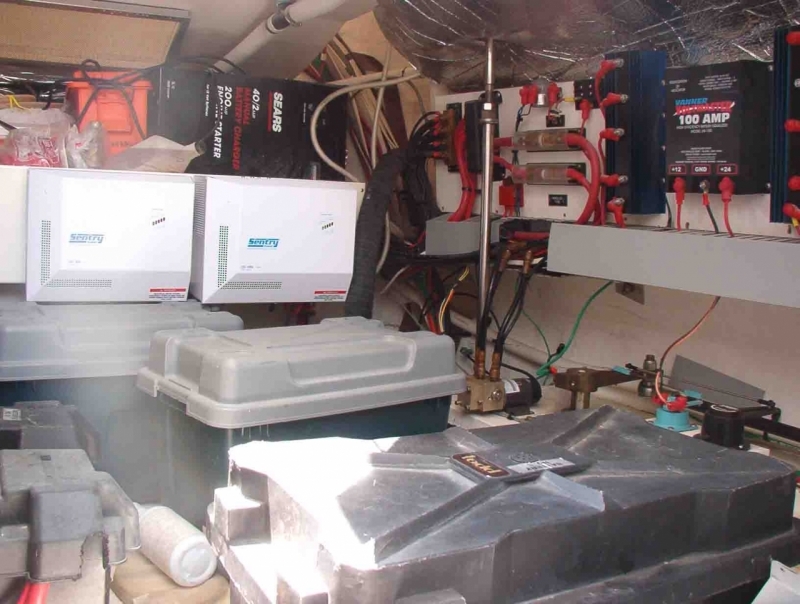 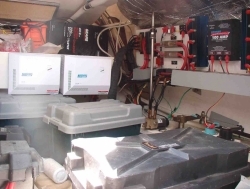 Four zones of heating and air conditioning. Beige leather seating and high gloss cherry wood cabinets. 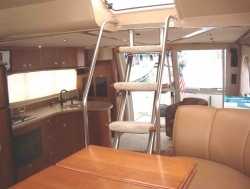 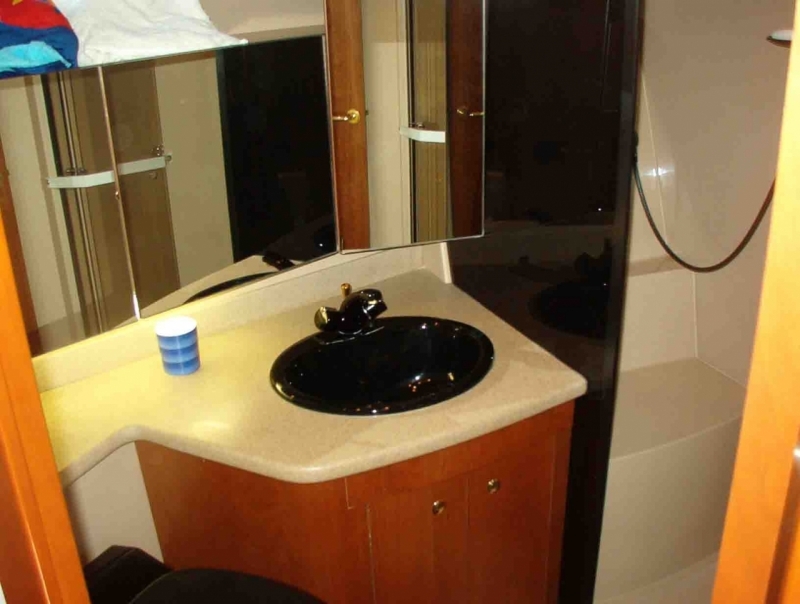 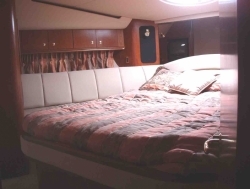 She has a large, comfortable bridge deck with Clarion Marine sound system, built-in seating, tables, wet bar and refrigerator (with weather covers) shaded by bimini and RADAR arch. 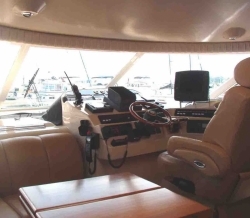 New carpeting bridge deck and cockpit. 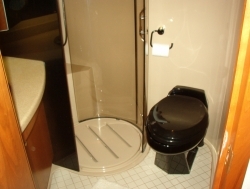 The VIP stateroom is forward and has an island queen berth, TV/VCR, closet, custom bedspread and oval hatch. 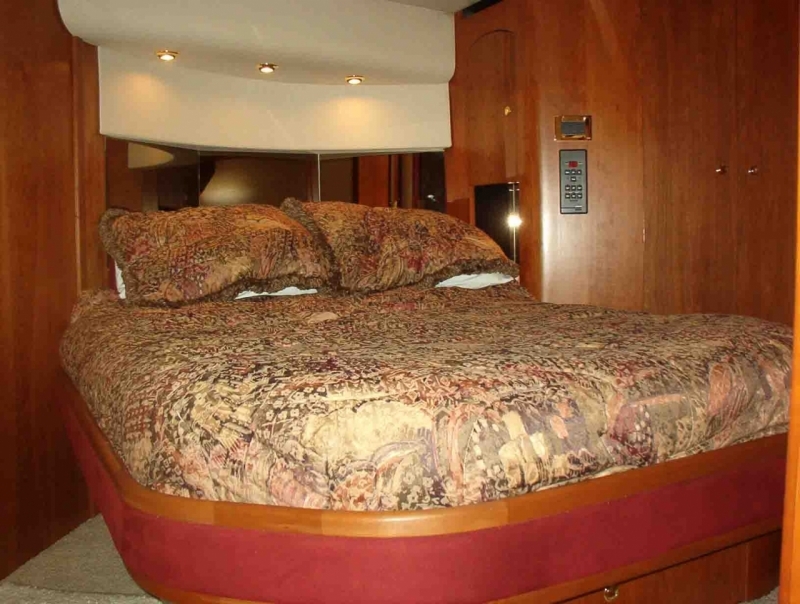 Guest stateroom is amidships starboard and offers twin side by side single berths with insertable bolsters that allow berths to be converted to full size. 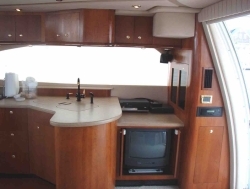 Her large convenient galley, forward of the entertainment center, is accented with beautiful cherry cabinetry and flooring. 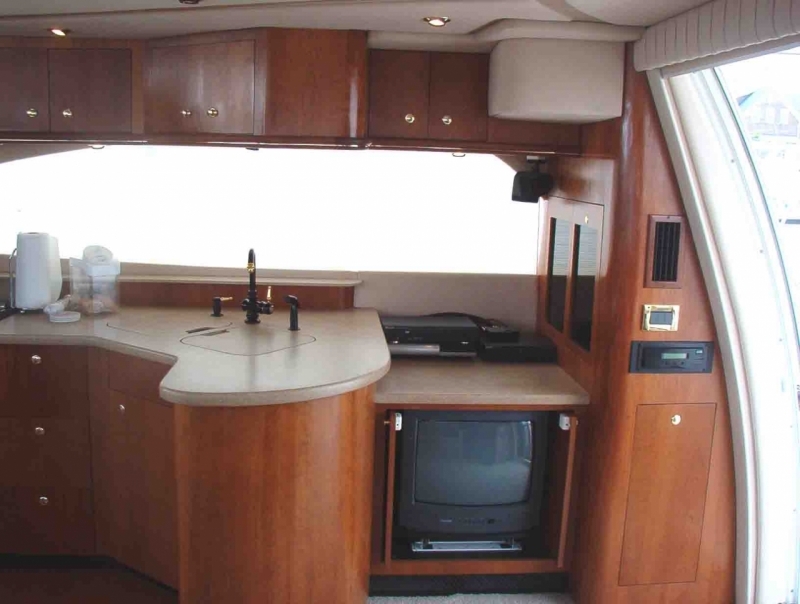 Her salon is open to pilothouse with lounge/expandable cherry table to port, exterior door and companionway to staterooms starboard. 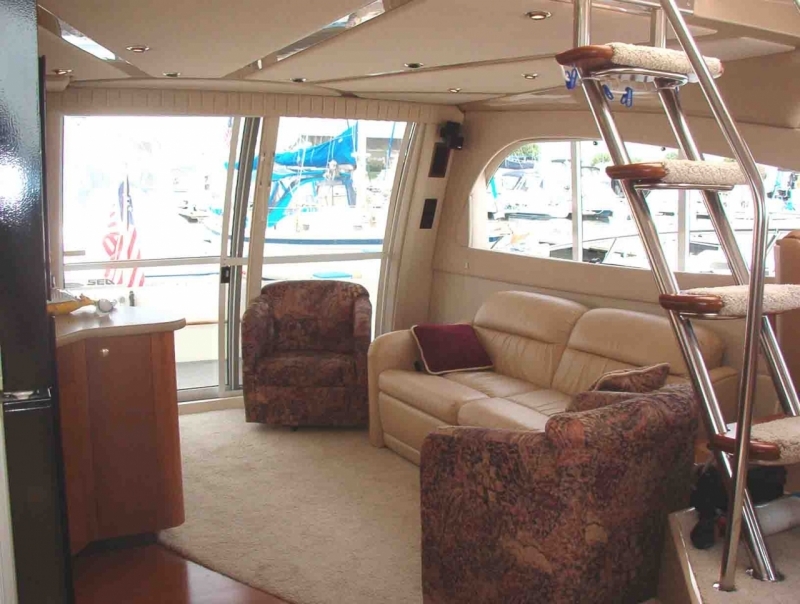 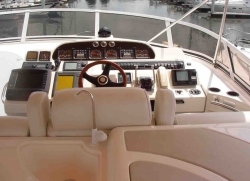 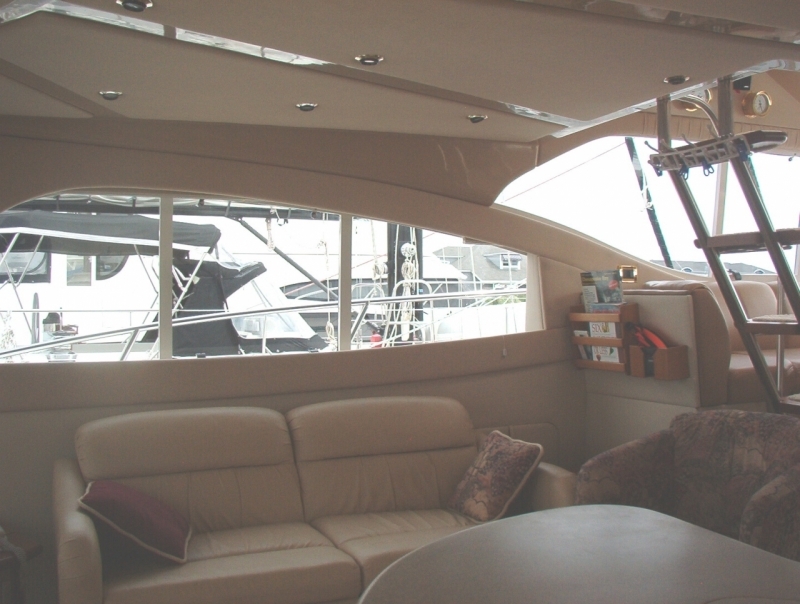 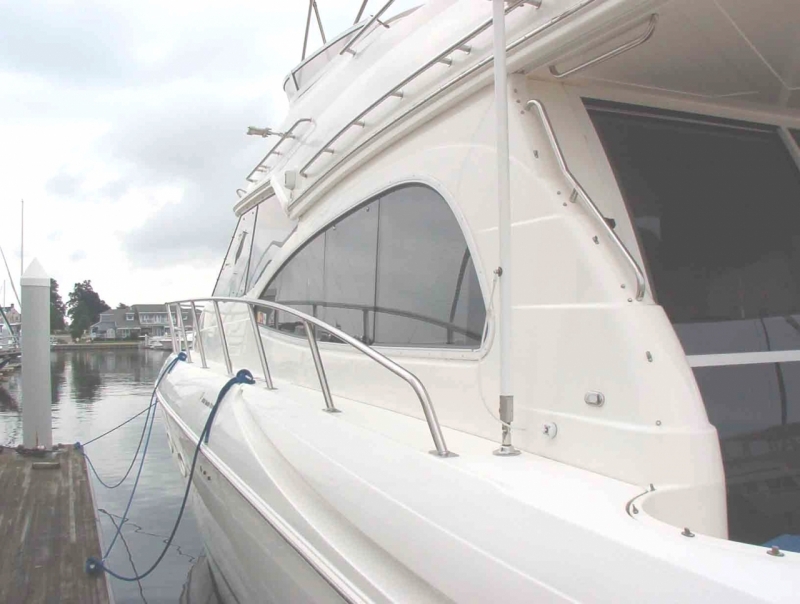 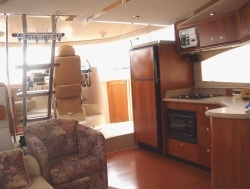 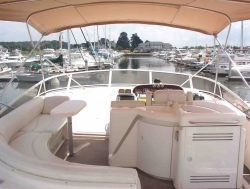 Glass sliders aft open to salon with soft leather couch to port, entertainment center including KVH satellite television system and Bose surround audio, starboard. Her salon offers sleeping accommodations for two on the convertible sofa. Window privacy covers, coffee tables, soft neutral tones with cherry accent. Clarion marine sound on bridge. 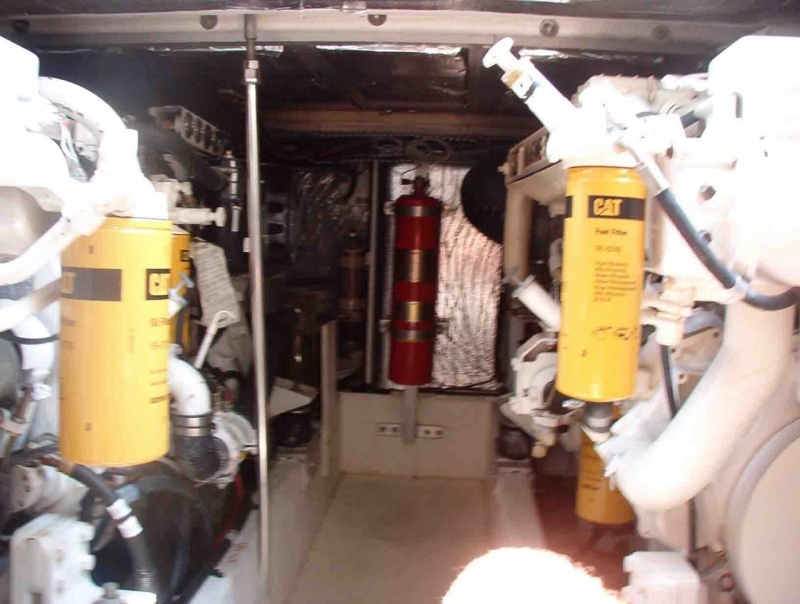 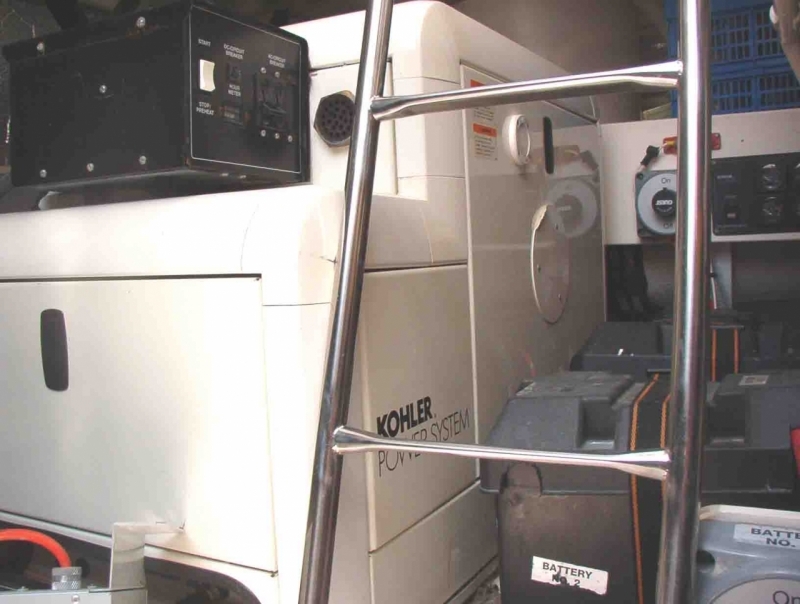 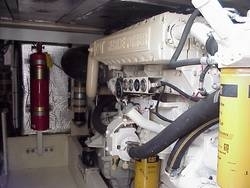 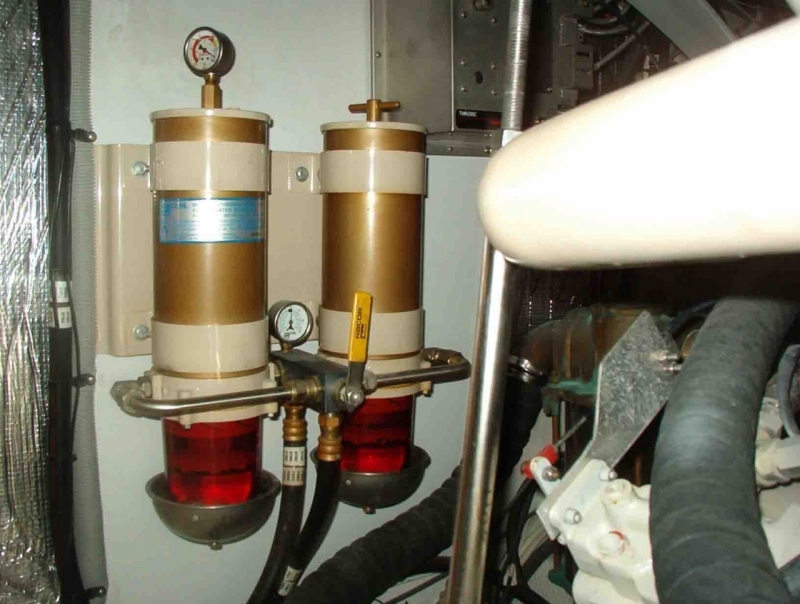 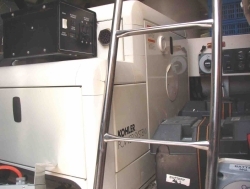 TwinDisc sync transmissions, Fireboy fire extinguishing system, oil transfer system.